Having fun with switch adaptive tools! - All Things Special Ed. Having fun with switch adaptive tools! 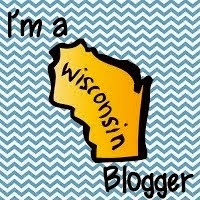 Do you have a student who uses a switch/button? We are having fun in our room using different tools with our button and switch tools. 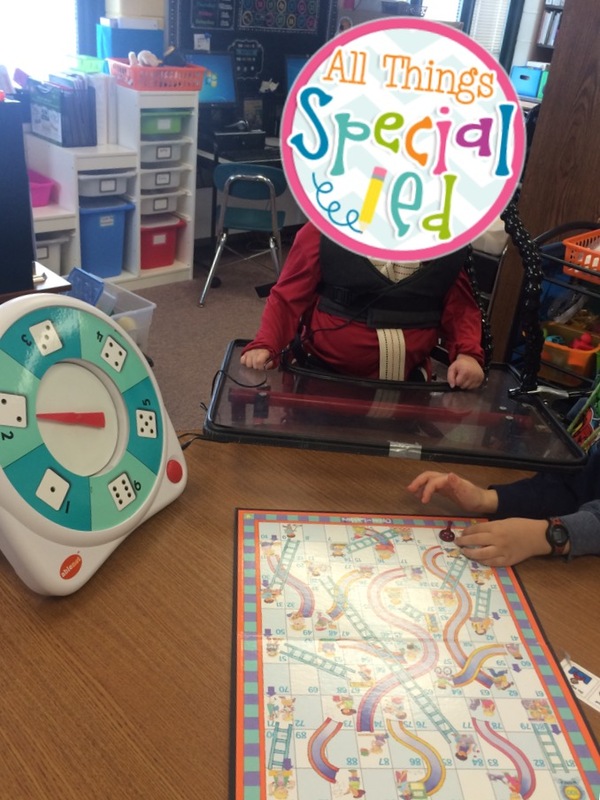 During our lunch bunch group, we played a Chutes and Ladders. My guy was in charge of hitting his button so it would activate the switch adapted All Turn Spinner by AbleNet inc. You can take the face plate off and add your own. My good blogger friend from Breezy Special Ed said she uses it to play bingo by attaching different calling cards to the All Turn Spinner- that is next on our list to play!! 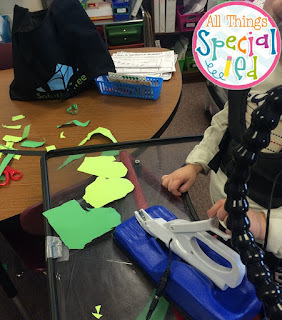 We also had an art project (making ourselves in snowsuits) from class that we used adapted scissors to help cut. My Student would hit the button (with his head) and it would activate the scissor. I had to guide the paper through as he cannot move his arms and hands to do this.